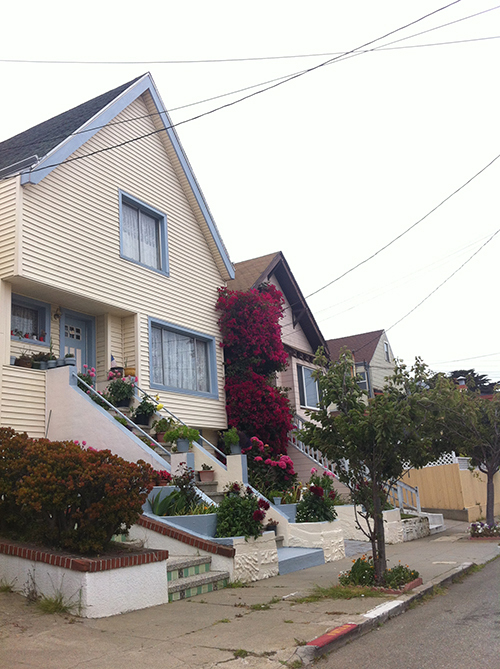 This week on Broker’s Tour, I toured Mission Terrace, a neighborhood I wrote a post about back in 2013. At the time, it seemed like one of the few neighborhoods that young couples could buy a move-in ready home for under $800,000. When I walked into a home there this week which was listed for $799,000, it was far from “move-in” ready. It was more of a “fixer.” In the earlier 2013 post, I had discussed the fact that clients of mine had bought a two bedroom home for $530,000 in February of 2012. By December 2013, two bedroom homes in Mission Terrace were selling on average for $738,000. Two bedroom homes in Mission Terrace in the last six months have sold for an average of $1,047,433. Wow! In a little over five years, my clients’ home has doubled in value. This is a neighborhood that I have been watching as a good place to invest and the numbers bear it out. It appears to be one of the fastest appreciating neighborhoods in the city. Besides its proximity to neighborhoods like Glen Park and Sunnyside, nearby Ocean Avenue is changing dramatically. It now has Whole Foods and Target as well as a number of other new cafes and restaurants. In addition, the Ocean and Geneva Corridor Design has been implemented with a Final Plan that was completed in March of 2015. According to the plan,“ The goal of this project is to design a streetscape that improves the walking experience, better balances the needs of many different users, and creates a more enjoyable and visually pleasing street.” You better move fast if you want to be a homeowner in this vibrant neighborhood! Don’t hesitate to give me a call so I can show you around. Previous: Take a Cycling Vacation Break!